Industry | JH Wagenaar B.V.
JH Wagenaar BV is the industrial specialist at The Greenery. We have earned this reputation from the way we sell our products to canning, cutting, drying, deep-freezing and other businesses in the food processing industry. We meet this demand in the Netherlands, Germany, Scandinavia and Eastern Europe. We use the excess supply from The Greenery growers as well as from other suppliers. Greenhouse products that we supply to the industry include: cucumbers, peppers and courgettes. Field grow products that we supply to the industry are: celeriac, cauliflower, turnips, beetroot, white, red and green cabbage, curly kale, carrots, Brussels sprouts and gherkins. These products are distributed using the following means of transport: “walking floors”, tippers, hoppers and tarpaulin tilt trucks. The products are transported in a variety of containers: wooden or plastic boxes, outer boxes or in bulk. We are one of a kind when it comes to the industrial trade in cucumbers. 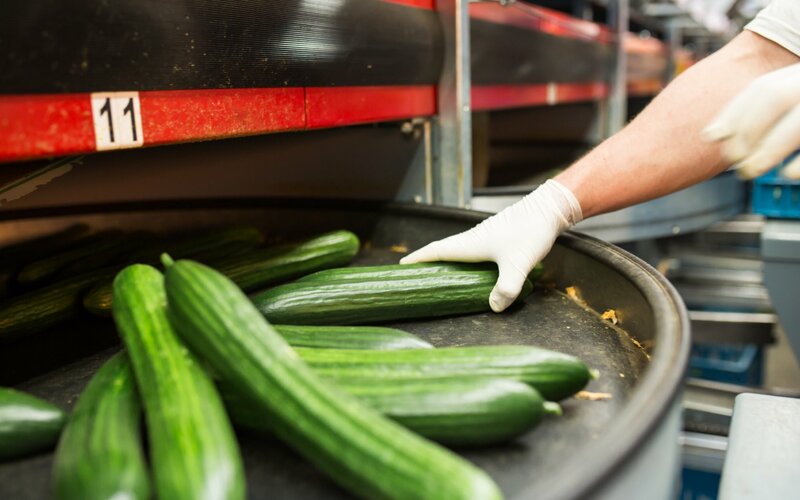 A number of factories that we supply make pickled slices of cucumber, and many cucumbers end up in salads, sauces and spreads.